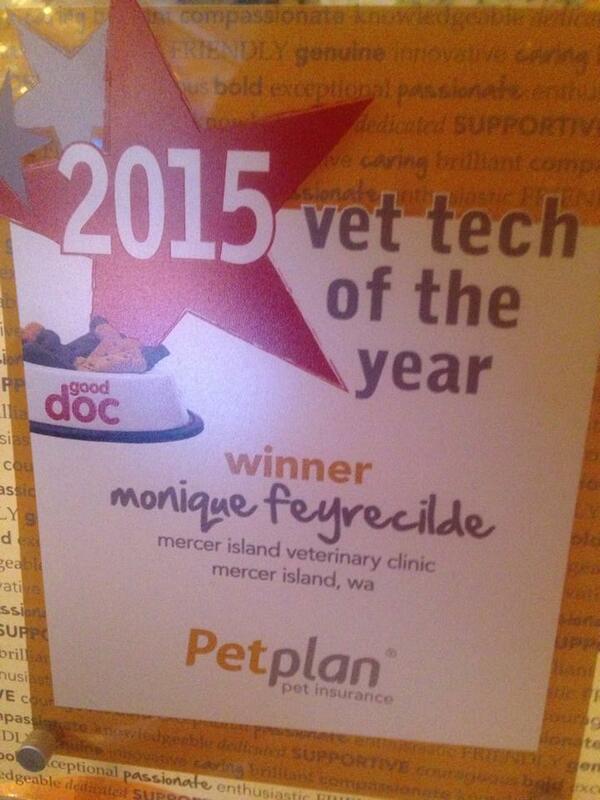 I am proud to be PetPlan USA’s Veterinary Technician of the Year! The process has been truly amazing. 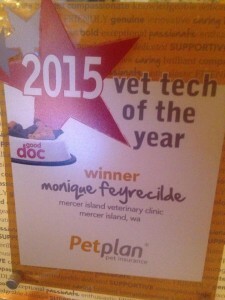 PetPlan sponsors this event annually to highlight special veterinary professionals. The categories include Veterinarian, Veterinary Technician, Veterinary Receptionist, Pet Owner, and Veterinary Practice of the Year. Nominations are accepted from the public. Clients and colleagues can nominate one candidate per category. For 2015, there were approximately 3000 nominees! 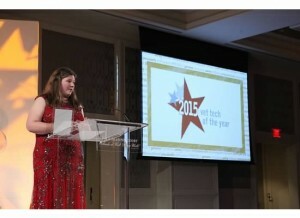 Each nomination is reviewed by a committee and semifinalists are selected. Semifinalists are asked to submit a packet of information including interviews, personal statements, CV, photos, videos, and anything else they believe helps the judging panel get to know them. Semifinalists are also posted on PetPlan’s website so clients, friends, and family can vote for their favorite nominees. Monique, Ginny & Micah on the red carpet! My nomination was submitted by my dear friend and long-time client Nancy Burke. 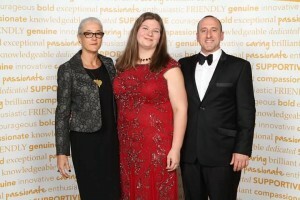 Her nomination was incredibly touching and I’ll never be able to thank her enough for sharing her thoughts about me and what I do with PetPlan. Once the Semifinalists are narrowed down to Finalists, each finalist is invited to a black tie gala where the winners are announced. This year’s gala event was held at the Four Seasons Resort in Orlando, FL in conjunction with the North American Veterinary Conference. 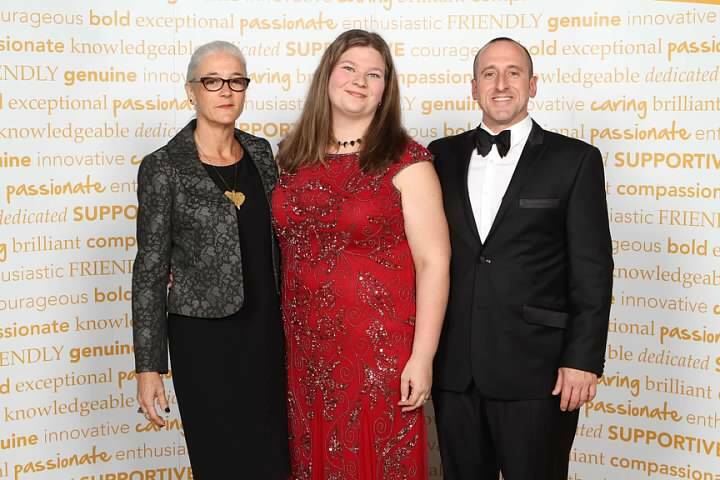 I was quite nervous about the event, but thrilled to be accompanied by two of my dear friends and veterinary colleagues: Ginny Price, MS, RVT, VTS (Behavior), and Micah Brodsky, DVM. When I came home, I found the most wonderful surprise from my team! A party, with cupcakes, celebrating both my birthday and my new award. I am so proud to work with such a great team. Many thanks to PetPlan USA, Nancy Burke, all of my colleagues and supporters, mentors and friends, and of course my wonderful husband. Without your support, guidance, inspiration, and voices, I would never have arrived where I am today. I am blessed to work and live in an environment where I have the support and freedom to follow my passion. I live the dream of educating pets and their owners every day, while providing the very best in veterinary medicine. I get to travel the country educating veterinary professionals, make new friends, and hopefully inspire others as much as my clients, colleagues, mentors, and friends have inspired me. I would encourage anyone who has a favorite veterinary clinic, veterinary team member, or favorite pet parent, to participate in the nominations process for the 2016 Vet Awards! Every nomination earns $1 for charity, and you’re giving your favorite vet professional a wonderful gift by nominating them. Nominate by visiting PetPlan’s Vet Awards site!